Embrace the Brackets – Having Fun in the Kingdom | don't bite the apple…work is not a fairy tale! 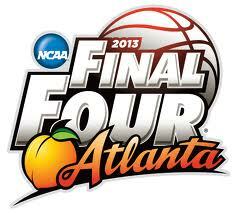 March 19th starts the 75th anniversary of the NCAA Men’s Basketball Tournament known as March Madness. 67 single elimination games to compete for the Sweet Sixteen, the Elite Eight and then the Final Four. 2.5 million unique visitors will watch these games with an average of 90 minutes of game time each. Some of those visitors will be your employees. The NCAA estimates that 35 million people participate in pools. 8.4 million work hours were spent watching games in 2011. That does not even take into account the time spent discussing “Bracket” pools and games. 2 in 5 IT professionals surveyed said March Madness has slowed networks. Can you avoid the Madness in your Kingdom? Will is shut your productivity down? No, is the answer to both of those questions. But how do you contain the Madness in your Kingdom? The Queen suggests you Embrace the Brackets. Employees will appreciate the outlet and won’t feel the need to “hide out” on their computers checking scores. Make the month March, or at least from the Sweet Sixteen Games on, basketball themed for meetings and employee communications. If you have a break room, live stream the games or ESPN updates, so employees can watch together. Set up a blank “Bracket” and fill it in each morning or assign that task to the employee most into the Madness (believe me you will know who that is). Managers can have each employee or department pick a team and have a prize at the end for the team that goes the farthest in the tournament (not monetary, you can’t gamble at work). Pick a “Company Team” and if that team makes it to the Final Four, you can bring in lunch. Begin each meeting with the Bracket update and which employees are still in the game. Getting everyone in on the Madness will help avoid resentment between employees who are not into basketball and may feel their peers are slacking off on game days. I was at a Sports Grill on Friday for lunch and Illinois was playing Indiana and loosing. The place was packed. A man walked in wearing an Illini shirt and I said “You are not going to want to watch this game”. He laughed and said “Oh, I’ve been watching it on my computer at work. I know how bad it is.” I just laughed thinking back to the stats. The Madness hasn’t even started yet and he’s watching a game before he leaves for his hour lunch! These games are coming ready or not. March 18th is National Bracket Day. Your employees will either be sneaking live stream or watching as a team this month. It’s up to you…Embrace the Brackets and Break the Spell! How will you handle March Madness in your Kingdom? Link | This entry was posted in Employees and tagged Bracket buster, Elite Eight, employees, Final Four, human resources, management, march madness, March madness productivity, National Collegiate Athletic Association, NCAA Men's Division I Basketball Championship, NCAA tournament, productivity. Bookmark the permalink. God help me, I put aside a whole afnretoon to figure this out.